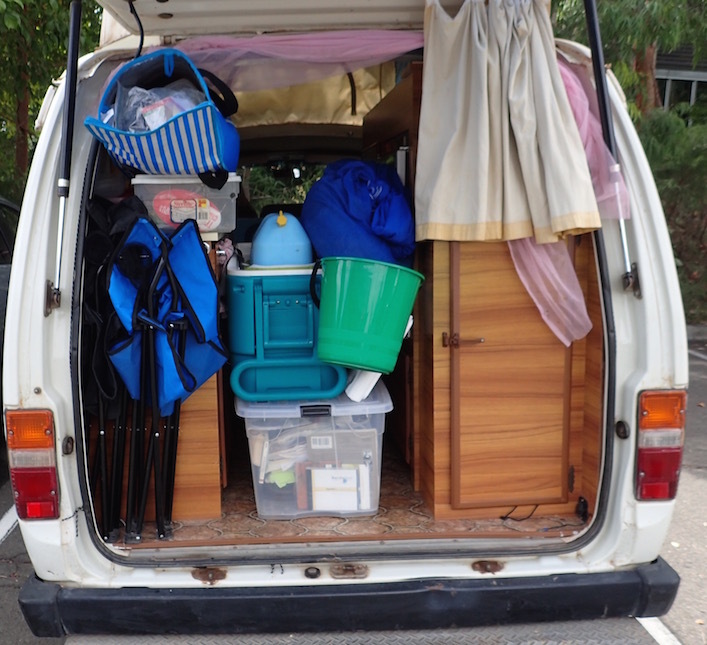 Sydney area, 1st load from Journey to our new-to-us van, with about 1/8th the storage capacity of our boat. Sydney area felt like some crazy vortex that held us fast well beyond when we wanted and needed to move on to explore Australia (aka Oz). 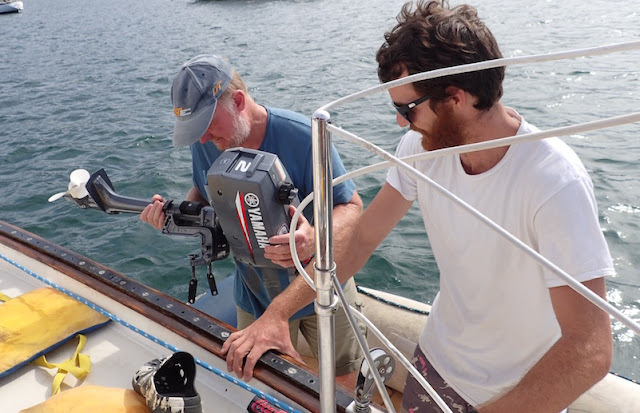 We returned from the glory of Sydneyharbour’s world-famous New Year’s Eve fireworks to a whole lotta boat work. Dock-carting 1st of many loads into our new-to-us van. Newport, Australia (a Sydney suburb). To force us to go, we booked a round-trip flight leaving Melbourne, Oz for Auckland, New Zealand on February 11th. Without sight-seeing, at 868 km (~535 miles), Melbourne is an assertive 9 hour or more ideally at least 2-days drive away from Sydney. Our Oz tourist VISAs require us to leave the country every 90 days to renew our VISA; we checked into Bundaberg Oz November 13th, so we had to go by at least the February 12th. we begin loading? Newport, Australia (a Sydney suburb). Making those plans nearly always seems more do-able the further out. As the time approached to the pressure mounted. We needed to leave the boat sales-ready. That meant fresh paint and varnish, and leaving the boat cleaner than it ever was even before we first came aboard. 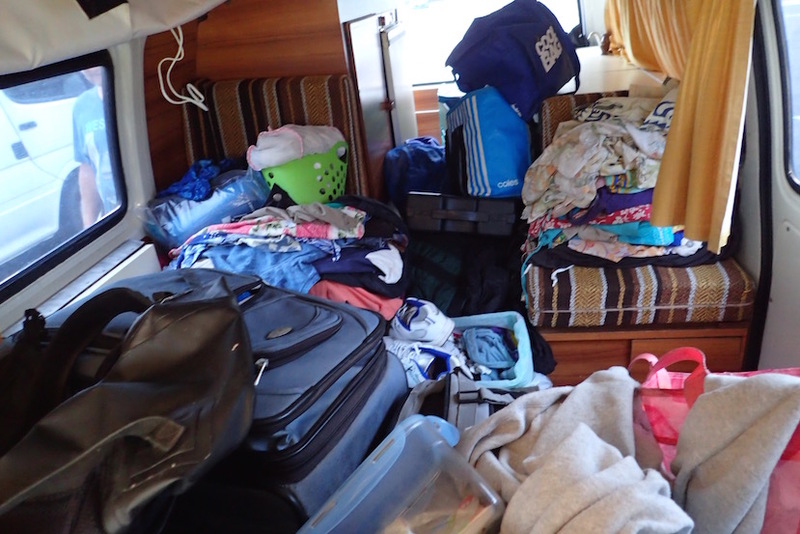 More, all our personal belongings needed to be off the boat. They needed to either fit into a van ~1/8th the storage capacity of our home of the last 4 ½ years, or be sold, given away, shipped or thrown away. Pearson 365 sailboat, with ample storage for its size. We did reasonably well selling items our broker advised us were not expected by a prospective buyer, and would net us far more sold separately than included as an “extra” with the boat. Realizing we could well be far across the country by the time our boat sold, motivated us to sell our extras before leaving our boat. We sold them through Gumtree (the Craigslist/eBay or “TradeMe” of Oz). This is our closet on our van, 9 inches across, and too shallow to hold a hanger. *My kayak, carbon-fiber paddle and my long dive fins were the hardest items for me to say good-bye to. Nearly the last load from Journey to our van. 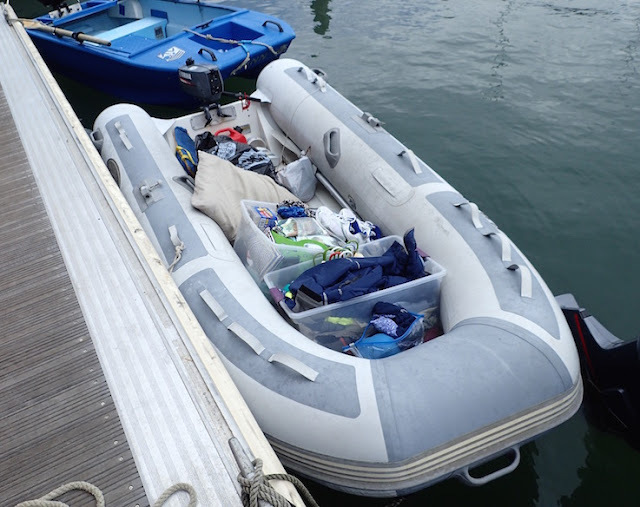 Our dinghy, our 5-horse outboard motor, our Honda 110-volt 2,000 portable generator are all items we could have sold, but DBY Boat Sales recommended we include them with our boat sale. to Eve of Auntie in Newcastle. Johnny from Miramar came to our aid. That left only one item, a spare autopilot (self-steering mechanism) for our broker (nicknamed “Mr. Gumtree” by the DBY Boat Sales staff) to sell in our absence. That still left a lot of stuff to deal with. 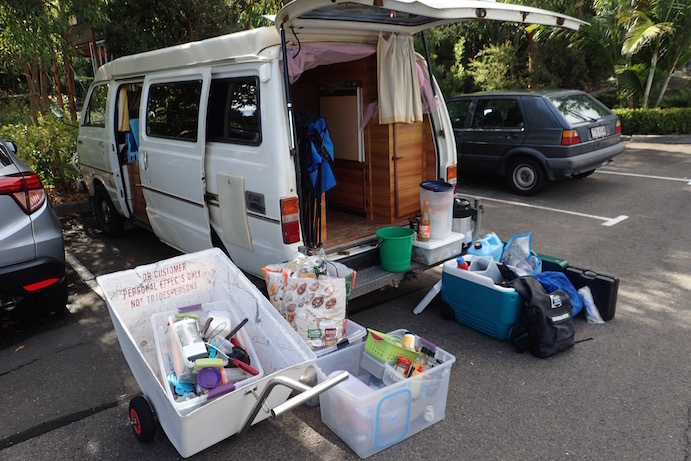 Despite several “Salvos” donations loads, giveaways and trash, this is what our van looked like at our road trip’s start. This is the back-to-front view. 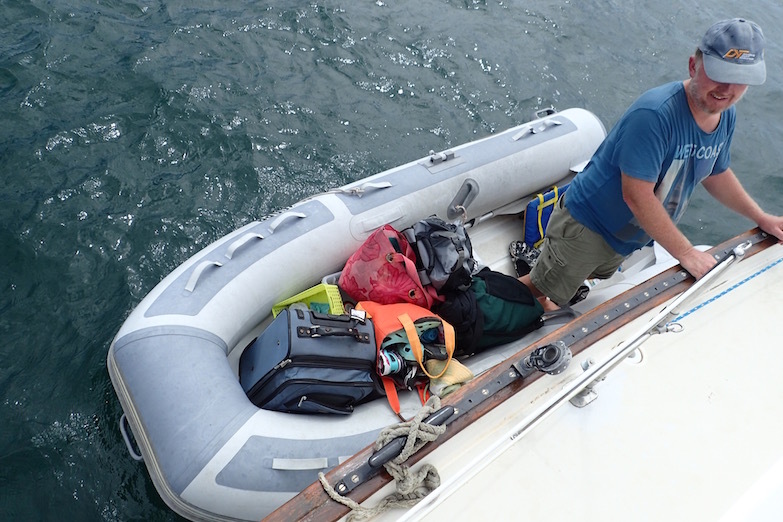 On a sailboat, while it’s not ideal to carry more than needed on the boat, it’s not unusual. Heck, we aren’t the only boat owners to simply choose to raise our hull anti-foul and boot stripe paint line a little higher to reflect our choice to carry a heavier load. 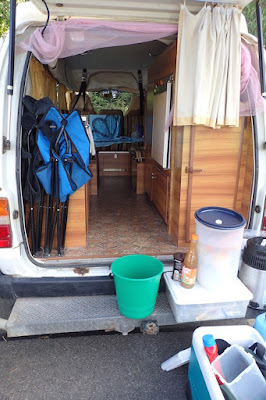 On a 1982 van with a little 1.8 liter motor, too much weight will not only drive up our fuel costs, it can prevent its ability to make it up a hill. This is the view looking from our van’s front, to its rear, inside, when we hit the road. Most trips into Mona Vale for groceries also included a stop at “Salvos” aka Salvation Army to donate whatever we could do without that we thought Salvos would accept. To boating friends, we gave away a variety of stuff, from foulies, to fun stuff, to optional safety safety items. Our new friends Danni and Johnny on Miramar, starting out on a shoestring found themselves both blessed and cursed to be our neighbors. We’ve little doubt their waterline rose more than our waterline dropped, and that’s just from the food we sent their way. I still owe them the recipes that prompted items like fish sauce to be among my – and if they haven’t tossed them – their provisions. Danni and Johhny of Miramar, our neighbors in Pittwater. They were a huge help as well as a ray of sunshine. On top of that, we also transported a portable distiller set, which we bequeathed to Chris and Chris ofScintilla, and a spare Yamaha outboard motor which we agreed to deliver to Eve of Auntie who bought it and skedaddled off to Newcastle a day before we were able to finish moving from our boat to our van. 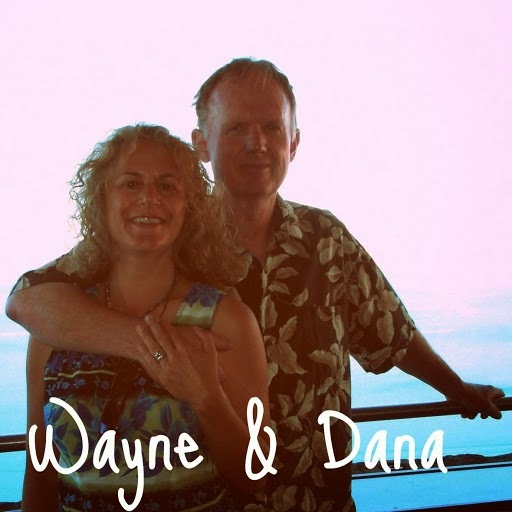 Wayne managed to not throttle me when I spent three more agonizing hours in 100-degree temperatures in a motel parking lot further triaging and organizing our van. We’d spent the night there since we decided we were better off getting a good night’s sleep in an air-conditioned room rather than figuring out where to put our stuff in the van so we could sleep in it. We’re continuing to shed whatever we can. We’re still carrying a large box of stuff ranging from stuffed animals to tools to be sent back to the US for storage. 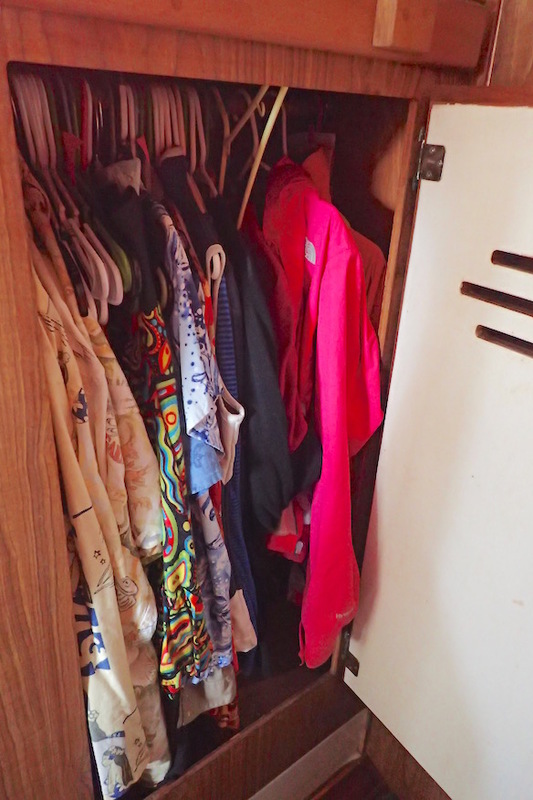 These items hold sentimental or practical value for when we stop traveling and return to work. The problem is we’re still not quite sure when and where that will be. Meanwhile, our van is still lumbering more than it’s climbing hills. We’ll get there – and show and “after” picture when we do. 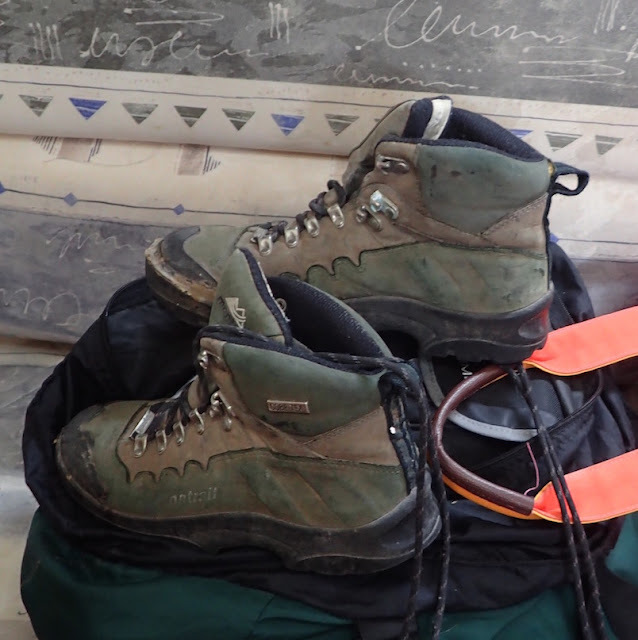 My beloved Montrail hiking boots didn’t make the cut, after serving me for at least 15 years. Took too much weight, too much space. Also hard to bid adieu. Journey, her pre-sale spa treatment complete, is still parked on a DBY Boat Sales mooring for sale in Pittwater, New South Wales, Australia (S33.39.433 E151.18.051). We are at the moment finishing our sixth day of misadventures on the road, currently in Booderee National Park, New South Wales. We're on our way to Melbourne, Victoria, Australia. 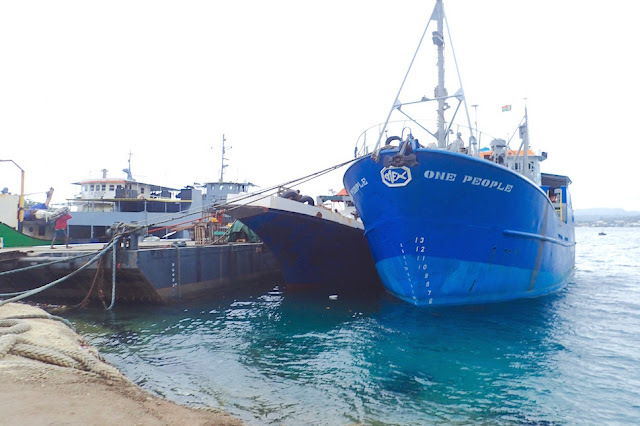 More on our transition from open ocean to open road coming up (as well as some fill-in posts on cruising and blog post cleanup).